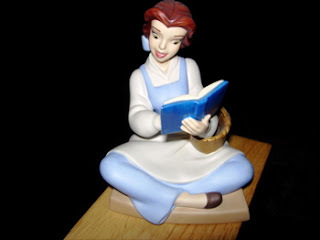 My Magical Collection: Walt Disney Classic Collection Belle - "Bookish Beauty"
This is the 2005 Membership Sculpture for the Walt Disney Collector's Society (also known as WDCC by collectors!). It was your gift with your paid membership to the Walt Disney Collector's Society. 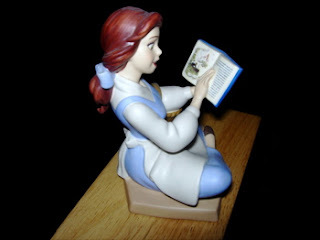 Notice the detail on the book that Belle is holding! Belle is the heroine from the 1991 Walt Disney animated classic, "Beauty and the Beast". She was voiced by Paige O'Hara in the film. Labels: Walt Disney Classic Collection Belle - "Bookish Beauty"